Today’s featured member, Shiva3322, is just a student, but he’s been active in the forums trying to learn and spread his knowledge in Java. If he’s helped you out recently, be sure to approve his answer and pay the knowledge forward! You could earn a badge, too! We’re always looking for our next featured member, whether you’re helping out your peers in the forums or giving your two cents in the Open IT Forum discussions. Featured members are shown off in the What’s New boxes, the IT Knowledge Exchange community newsletter, the Community Blog, and on Twitter! In addition to some great swag you’ll get your very own featured member badge to flaunt on your profile page. So get moving in the community, upload a photo, and update your profile so we can properly strut your stuff! Whether you’ve already been featured or you’re super grateful to the community member who helped you troubleshoot your data center meltdown, submit your featured member nominations today. See someone giving knock-out answers or read a particularly insightful blog post? Let us know! Tell us in the comments section here or shoot me an email. This week’s most-watched IT questions are full of great recommendations and several approved answers. 1. CharlieBrowne and TomLiotta helped a member who’s not able to create procedures using STRSQL on V6R1. 2. Help solve the mystery of why one member’s backup started running 2x longer. 3. CharlieBrowne, Philpl1jb, TomLiotta, BigKat, and Brettharris give pointers on AS/400 trim. 4. Share what you plan to do with your bargain buy: Did you buy a TouchPad? 5. TomLiotta provided the approved answer on how to explore a new AS/400 application. 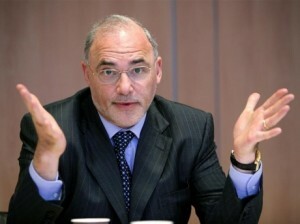 HP’s CEO Leo Apotheker seems to be throwing his hands up, and so are we – and the rest of the blogosphere. Despite VMworld 2011 going down in Las Vegas, it’s taking a backseat to HP’s many, many blunders. Read about both in the IT Blog Top 10 below and tell us, what was your favorite HP fail blog post from this past week? 1. Think you were the only one breathing heavy over the $99 TouchPad sale? You weren’t, except they were hyperventilating for other reasons: HP’s webOS Decision Sends Shock Waves Through Developer Community. 2. Atleast not everyone got screwed by the HP announcement since HP will make good on TouchPad refunds. 3. Ron Miller delves further into HP recent fiasco and came up with this conclusion: HP decision to dump webOS still makes no sense. 4. Killers to play VMworld 2011 party. Sad you can’t be there? You can! Well, sort of. 5. What’s in a name? We found out when Xiotech changed its name and improved ISE. Today’s featured member, MDratwa, is an AS/400 Nerd, and is well on his way to a Bronze badge at IT Knowledge Exchange. If he keeps doling out answers on AS/400, physical files, and COBOL, he’ll be there in no time! Has MDratwa helped you out recently? Be sure to approve his answer and pay the knowledge forward! How to delete physical file member? Join TDWI in Orlando, October 30-November 4, and learn practical business intelligence and data warehousing knowledge that you can apply immediately. The TDWI World Conference in Orlando brings together leading industry visionaries to deliver a unique program of cutting-edge education, best practices, one-on-one consulting, and more. At the conference you will interact with experienced instructors, network with hundreds of peers, and get product information with a minimum of hype and hassle. Learn more about the TDWI World Conference in Orlando and sign up for courses today! Today’s featured member, NullFields, has worked over 22 years with System/38, iSeries, IBM i and he’s still going. For expertise on database, DB2, or COBOL, he’s your guy. Has NullFields helped you out recently? Be sure to approve his answer and pay the knowledge forward! How to explore a new AS/400 application? From SQL injections to TouchPads and Google and VMworld 2011, this week’s most-watched questions run the gamut. 1. Philpl1jb, CharlieBrowne, and TomLiotta gave their insight into an AS/400 report issue. 2. Philpl1jb, CharlieBrowne, and TomLiotta are joined by ToddN2000, PGMBOB, and WoodEngineer on a question about CL Programs failing after upgrading to V6R1M0. 3. BVining, CharlieBrowne, TomLiotta, and DanTheDane try to answer this question: Can I write a program in CL to update a record on a database file? 4. Mrdenny and Carlosdl shared some tips on protecting against SQL injections in a network. 5. Mrdenny got to the bottom of SQL Server error 7202: Could not find server. Today’s featured member, Msi77, has been a presence in SQL Server, Database, and Development around the community for some time now. For more of his work in SQL Server, check out his website. Has Msi77 helped you out recently? Be sure to approve his answer and pay the knowledge forward! This week’s IT Blog Top 10 is not untouched by the Google-Motorola deal or HP’s abandonment of TouchPads. Are you? Let us know your favorite blog posts in the comments section! 1. Say it ain’t so: Linux falling behind as a development platform. 2. What’s in a name? Dave Raffo reports on the latest in storage: Xiotech changes name, improves ISE. 3. Not all is lost: HP to make good on TouchPad refunds. 4. Robin Miller asks WebOS developers: Is it time to become an Android developer? 5. RedHat is emphasizing KVM’s scale-up capabilities: RHEV 3.0 beta supports up to 2 TB of RAM per VM. Today’s featured member, Stephenlembert, hails from India, where he works in data recovery. He’s been in the community this year, answering questions on Lotus Notes, Ubuntu, and HTML.